Landwash Brewery’s new 17.6 hectolitre capacity craft brewery is located in Mount Pearl, Newfoundland. Image courtesy of Landwash Brewery. 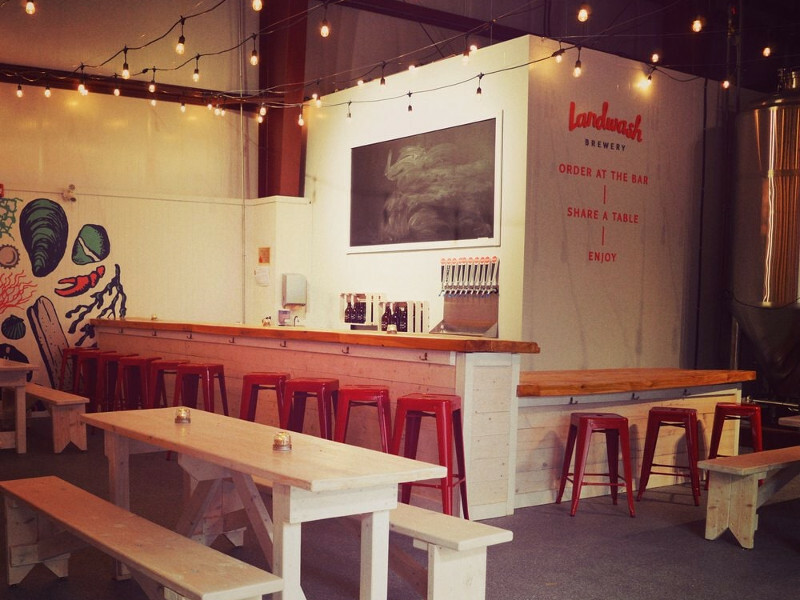 Landwash Brewery’s taproom showcases a beer-hall style with a capacity of approximately 50 people. Image courtesy of Landwash Brewery. The new craft brewery was officially opened in December 2018. Image courtesy of Landwash Brewery. 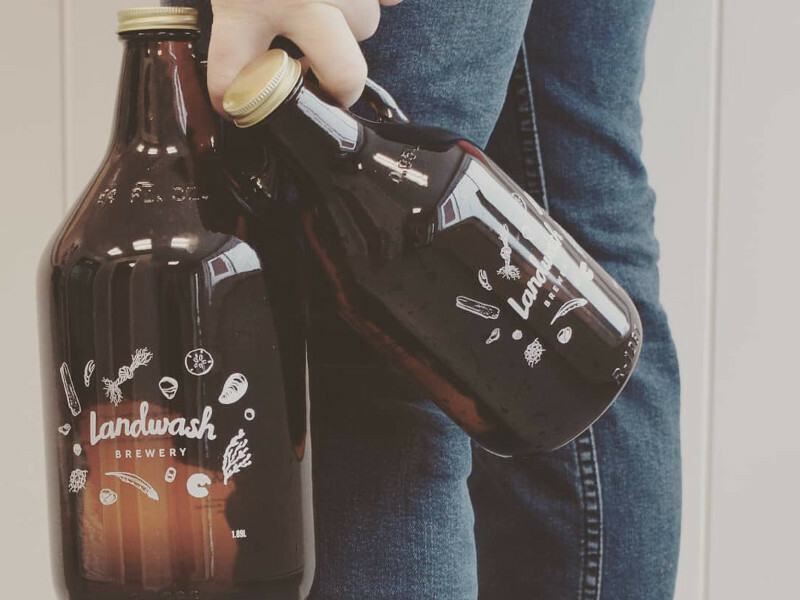 Landwash Brewery’s new craft brewery is located in Mount Pearl, Newfoundland, Canada. The brewery has a capacity of 17.6 hectolitres and features a microbrewing area, taproom, and retail space. The craft brewery was officially opened in December 2018 and the first beer was produced in January 2019. Landwash plans to brew over 1,000 hectolitres of beer a year, which can fill more than 200,000 473ml cans. 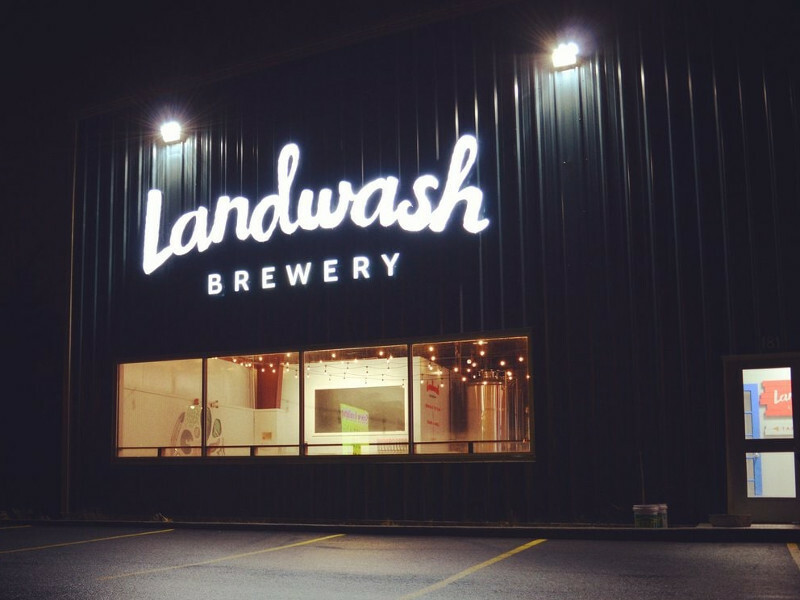 Landwash Brewery is co-owned by engineer and project manager Jennifer Defreyne, head brewer Christina Coady, and general manager Chris Conway. Landwash Brewery was developed in a warehouse building located at 181 Commonwealth Avenue in Mount Pearl to establish the new craft brewery. The site is situated near Pitt’s Memorial Drive and the future extension of the Team Gushue Highway. It is situated at the intersection of Brookfield Road, Old Placentia Road, and Commonwealth Avenue and can be easily accessed from St. John’s and the Greater Metro Area. Newfoundland is already home to a number of new and small independent breweries and has gained significant attention for building modern style brewery and taproom culture. The new brewery was developed in a 7,500ft² empty warehouse with a 27ft-high ceiling. The production, taproom, retail area, packaging, and storage facilities occupy approximately 6,000ft² of working space in the building. The brewery is equipped with four 15bbl (17.6 hectolitres) and one double-sized 30bbl fermenting vessel, as well as one 15bbl conditioning vessel. The total holding capacity of the six tanks is more than 25,000 tall cans of beer. The brewhouse also includes a 17.6 hectolitre brite tank. The facility is equipped with a fire alarm system, parking lot, concrete industrial weight-ready floors, bathrooms with wheelchair accessibility, a 16ft overhead door, and walk-in cold storage room. The taproom has a beer-hall style with a capacity of approximately 50 people. The taproom and the retail area provide consumers with the option to consume and purchase beers on-site. The brewery also includes additional room for expansion, while Landwash Brewery plans to purchase additional 1,500ft² after five years for the expansion of their business. The craft beer in the new brewery is made from natural ingredients such as hop, malted barley, and yeast without adding any preservatives and pasteurisation. The 17.6 hectolitre brew system consists of three separate kettles namely hot liquor tank, mash lauter tun and boil kettle. The hot liquor tank is used for heating water for brewing and cleaning. Heated water from the hot liquor tank is transferred to mash lauter tun, where the milled grains are warmed to be converted into starch. The wort is then transferred to the boil kettle, where it is boiled with added hops for the required bitterness, flavour, and aroma. The boiled wort is transferred to a chiller to reduce the temperature to 24°C. It is then transferred into the fermenter and yeast is added for fermentation. After a period of conditioning, the produced beer is cooled and transferred to a brite tank for the carbonation process. The beer is then packed in either 473ml cans or 30l kegs and stored in a cold room. Landwash Brewery’s new craft brewery offers American craft-style beers, as well as barrel aged beers sold under the brands One Wave, That Much Ocean, Hazures’ Rock, Brackish, Home and Away, and Smiling Land. The retail area of new the brewery sells growlers in two sizes, 0.95l and 1.89l, as well as merchandise such as baseball cap, T-shirt, hoodie, snifter glass, shaker glass, and sticker. BSG Craftbrewing is supplying grain, while Escarpment Labs is providing yeast to the brewery. Malt is being supplied by Weyermann® Malts, Simpsons Malt, OiO, and Rahr Malting. DME Brewing Solutions supplied cellar vessels for the tank farm in the brewery, while boilers were supplied by Fulton Boiler and glasses and growlers were supplied by Jym Line Glassware. Draft beer equipment such as kegs, shanks and faucets were supplied by UBC Group Canada. Glycol chiller was provided by Whitten Agencies and installed with the help of Holden’s Transport. Pro-Concrete & Restoration constructed the brewery pad in the brewery, while the trench drain was installed by King’s Plumbing and Heating.